LONDON, 9 March 2015 (IRIN) - Soaring numbers of migrants and asylum seekers are using Hungary’s border with Serbia as a gateway into the European Union, sparking a backlash from senior Hungarian government officials who said they would crack down on the influx. In 2014, nearly 43,000 people applied for asylum in Hungary, up from 18,900 the previous year and just 2,157 in 2012. 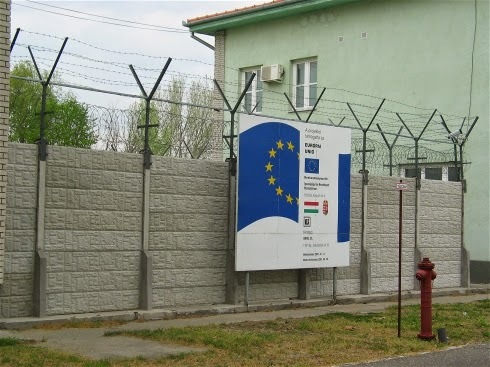 According to Frontex, Europe’s border agency, by the end of 2014, the Serbian-Hungarian border had become the third most used route into the EU for irregular migrants and asylum seekers (after the Greek-Turkish land border and the sea route from north Africa to southern Italy). Hungary’s Office of Immigration and Nationality (OIN) registered a further 28,500 asylum claims in the first two months of 2015. The majority of them were nationals of Kosovo, fleeing poverty, ethnic tensions and a crumbling government in their home country. Afghans and Syrians accounted for nearly 4,000 of the applications. Local human rights NGO, the Hungarian Helsinki Committee, which provides free legal counselling to asylum seekers, attributes the increase to deficiencies in the asylum and protection regimes of Greece, Serbia and Bulgaria as well as the high death toll among migrants attempting the Mediterranean route. About half leave Hungary within 48 hours of submitting a claim while 80 percent abandon their claims and move on within 10 days of arriving in Hungary, according to OIN. “The majority of them have relatives and friends in countries like Sweden, UK, Germany and France and it’s understandable that they want to join them for emotional and practical reasons,” said Erno Simon, a spokesperson with the UN Refugee Agency (UNHCR) in Budapest. Under the EU’s Dublin Regulation, asylum seekers anywhere in the EU can be transferred back to the first member state where they registered a claim, but in practice only about 800 were sent back to Hungary in 2014, said Simon. The Hungarian Helsinki Committee points out that Hungary has created an unwelcoming environment for asylum seekers. In 2014, about 12 percent were detained for a maximum of six months, including families with small children. Others are accommodated in often over-crowded open reception centres where the only psycho-social care and legal counselling available is through NGOs. Only about 500 were recognized as refugees despite over a third of applicants coming from Syria and Afghanistan. Recognized refugees then face an uphill battle trying to integrate into Hungarian society, said Gábor Gyulai, refugee programme coordinator with the Helsinki Committee. They are required to regularly report to family support units at their local municipalities and sign an integration contract that contains strict requirements such as that they attend language school and report there whereabouts as a condition for receiving support. However, the contract is written in Hungarian and staff have no capacity to translate its contents. Instead, Hungary’s ruling party has launched a communications offensive targeting migrants and asylum seekers which it lumps together as “livelihood immigrants”. A plenary debate in Parliament on 20 February was called “Hungary does not need livelihood immigrants” and both Prime Minister Viktor Orbán and Antal Rogán, parliamentary group leader of the ruling FIDESZ party, have been quoted in local media saying that immigration must be stopped. Although such statements have not yet translated into draft legislation, Gyulai described them as “very shocking” especially considering Hungary’s still relatively low rates of immigration compared to other EU countries (only 1.4 percent of Hungary’s population are foreign nationals and only a quarter of those are non-Europeans). “There is that fear of the unknown that fuels high levels of xenophobia but it is not seen as a real social issue,” he told IRIN.